Gulf Shores condo for sale by owner with owner financing - this FSBO beach home overlooks the community pool and hot tub. The living room has a queen-size convertible sofa, side chair, 2 end tables with 2 lamps, a coffee table, etc. The dining area has a table with 4 chairs and 3 bar stools. The master bedroom has a queen bed with a new pillow-top mattress set, a dresser with mirror, locked owner's closet, 2 side tables, and 2 lamps. Directly across the hallway from the master bedroom, you will find the full bath with tub/shower combo and a separate vanity area. The second bedroom has 2 twin beds, a dresser with mirror, and a side table with a lamp. Kitchen comes with fridge, dishwasher, range, microwave, small appliances, dishware, bake-ware, etc. Stack washer/dryer also included in sale. 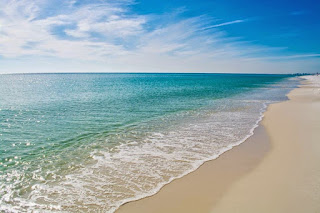 Low...more info, visit - Gulf Shores Condo For Sale By Owner.